Central to ISEA2013 is a thought-provoking program of artists’ presentations, creative dialogues and critical debates that will unearth the latest thinking and ideas in contemporary culture. The 3-day ISEA2013 Conference will feature over 220 speakers, 7 keynote addresses from global leaders in the fields of art, science, technology, media and communications. Topics will explore a range of emerging cultural forms including bio-art, data visualisation, robotics, augmented realities and urban and virtual ecologies. 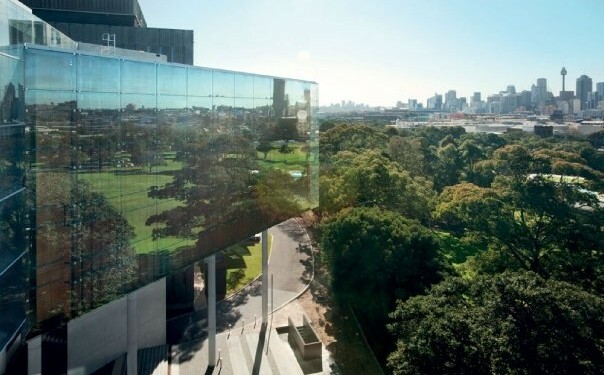 The conference will be held from Tuesday 11 to Thursday 13 June at The University of Sydney. A full conference program with presenter details is now available and the abstracts are now available online. 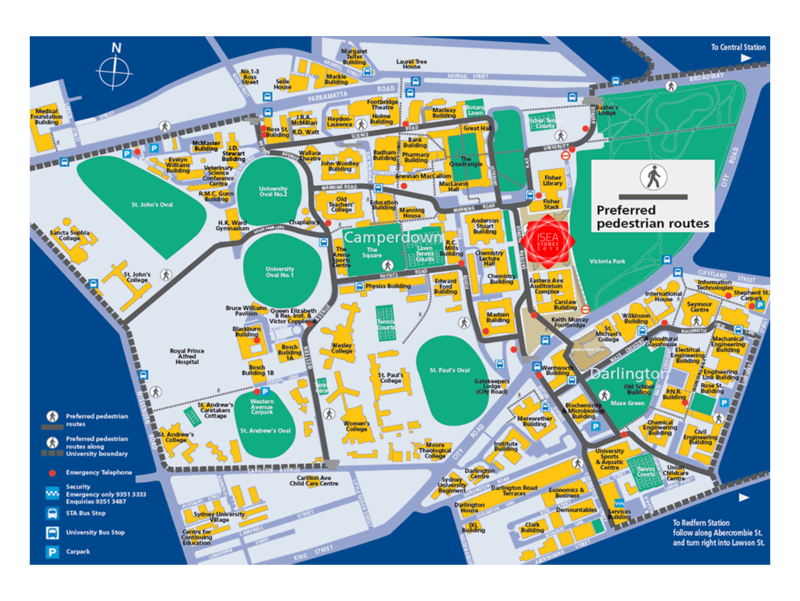 Download a map of The University of Sydney. If you would like to update your agenda with public talks and workshops that are free to registered delegates (subject to availability), as part of your ISEA2013 registration package, please do so here. The conference is supported by The University of Sydney. The following facilities are available in each lecture theatre: Computer, Data Projector, lectern with microphone and whiteboard. Presenters can plug in laptops or memory sticks for powerpoint etc., and there will be free wifi access. There will be a Mac and PC in each room, and hand microphones and table microphones for use in panel and roundtable discussions. If these facilities do not meet the needs of your presentation, please contact Laura Fisher at [email protected] asap. We encourage you to test your equipment prior to your presentation, either in the morning or during a break. There will be a tech assistant assigned to each room for the full duration of the conference to help with your A/V requirements. If you are using Skype or any other conferencing software, you should definitely see your tech assistant well before your session begins to ensure your presentation runs smoothly. The registration desk will be open from 8am on Day 1 and 9am on Day 2 and Day 3. You will need to check in to collect your lanyard and ISEA2013 bag. All abstracts will be available for public view in the conference section of the website, grouped by session, by Sunday 26 May. A printed version of the program will be available at the conference, however keep in mind that this program will not contain the abstracts. All papers (3,000 words) need to be uploaded as a word doc file on openconf (click on ‘upload file’ and enter your submission ID and password) by Monday July 1, after which they will be distributed for peer review. Please use the format illustrated in this PDF: Leonardo Transactions format with images. If you do not have your own submission ID (for example, if you are part of someone else’s panel) and you would like to submit a paper, you will need to click on ‘make a submission’. You will then be able to fill in your professional details and abstract and upload a file. The conference proceedings will be published using Sydney University’s e-repository in October.